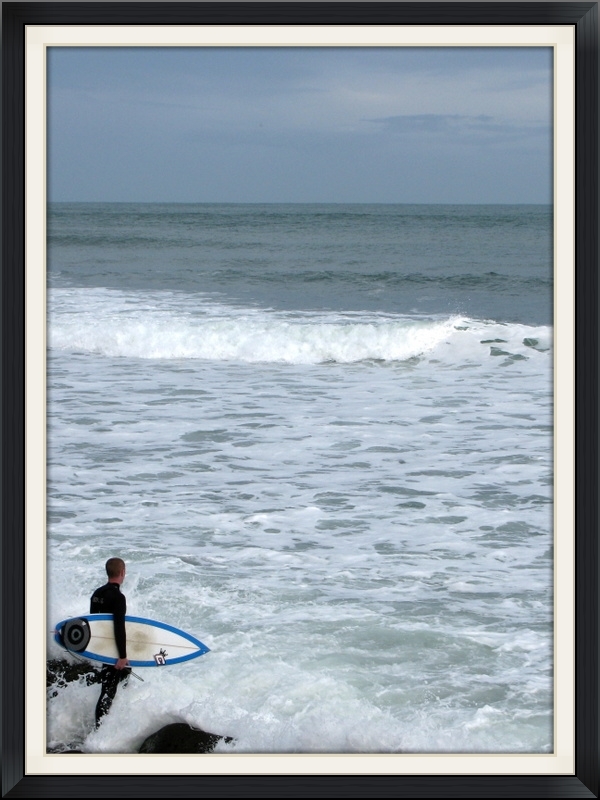 About three weeks ago, my hubby and a work colleague decided to take a day’s leave mid-week, so that we could do a day-trip down to Raglan and the guys could go surfing! The surf report was checked daily in the week leading up to our trip and the excitement began to build as the predicted wave conditions (for the day that we were going) continuously crept upwards from 7/10 to 8/10 and then finally, it hit 9/10! It was a Wednesday morning and we were up so early that the first sparrow hadn’t even farted yet! It was 3.30am, cold and dark but the weather forecast had predicted a sunny maximum of 17°C in Raglan, so I layered on the clothes (sleeveless t-shirt under a long sleeve shirt and a jacket), expecting it to warm up to a beautiful day. We’d packed the car with surfboards and wetsuits the night before and just had to load the chilly bin (cooler box to those who don’t speak Kiwi) with drinks and snacks, before heading out at 4am to pick up his work colleague, and then we were on our way! The thermometer in the car read a chilly 7°C and as we continued driving towards Raglan, it began to plummet towards a cold 5°C. The coldest part of the day is always just before sunrise! We couldn’t see the surrounding landscape that we were driving through, as it was really foggy in sections and very dim in the pre-dawn light. The thought of going for a surf at that temperature was a joke! Eventually the sun popped up and we arrived in Raglan at 7am, it was 8°C and partly cloudy, with a chilly breeze blowing. The waves at Manu Bay were crowded with surfers, it looked like everyone else had had the same idea as us, to take the day off! 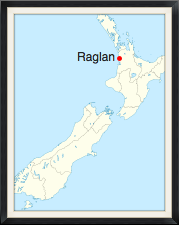 Raglan is a small town located 48 km west of Hamilton in New Zealand. The town was established in 1854 and was renamed (four years later) in honour of Lord Raglan, Commander-in-Chief of the British Army in the Crimea, at the time of the Charge of the Light Brigade. Raglan is best known for its surf and about five kilometers from the little town is a series of surf breaks, of which three of these are world-class point breaks. Vortex Bay is a soft peak east of the boat ramp that sometimes breaks on low tide, when the swell is too large for the main three points. Manu Bay (also known as The Point) is a world famous surfing site as it was brought to international attention in 1966 when it was featured in the movie ‘Endless Summer’. Manu Bay also featured in another movie in 2010, ‘Last Paradise’. 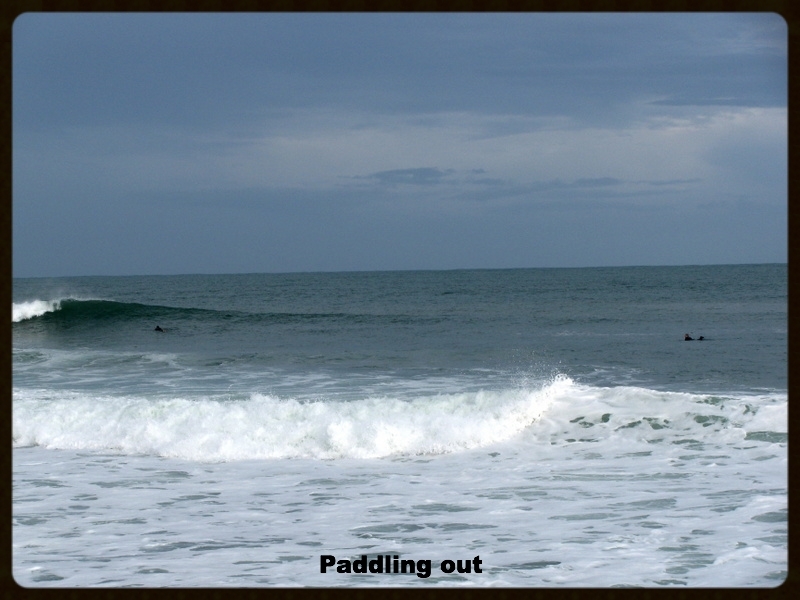 Breaking over a boulder bottom for a distance of about 300m; this long, consistent left hand point break ranges from 2ft to 8ft and has alternate hollow and wall sections, occasional barrels and is usually about two-thirds the size of Indicators. Whale Bay is a left hand point break that has two sections; an inside hollow section up to about 4ft that breaks very close to the rocks, and an outside, slower section from 4ft up. Breaks range up to 200m in length, from about 2ft to 6ft+. 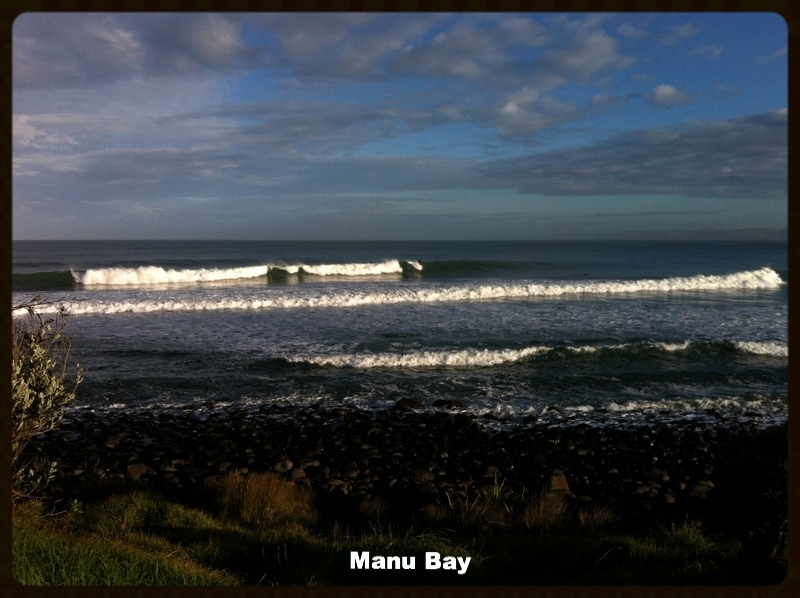 There is a rumour that Whale Bay can link up with Manu Bay, but only on very large swells. This would make a potential ride of up to 2 km from the top of Indicators to Manu Bay, which locals say has only ever been achieved once! 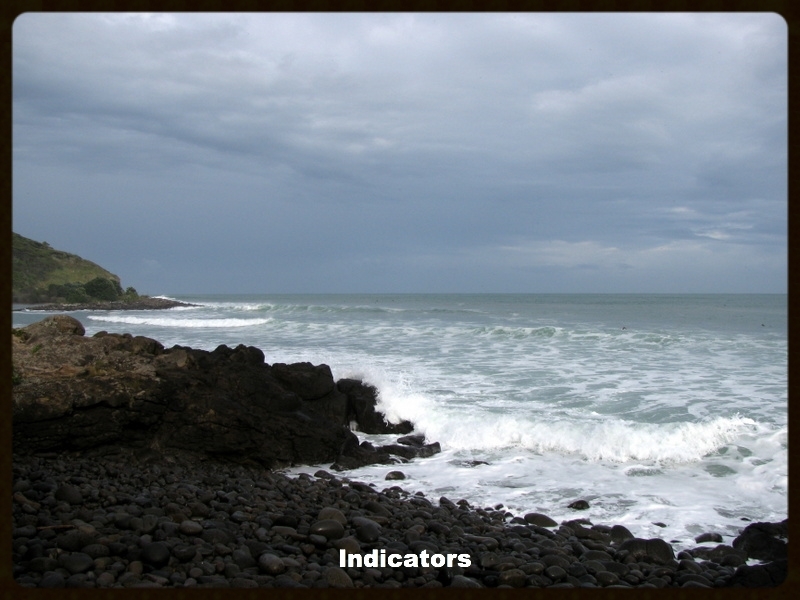 Indicators is another left hand point break that picks up a lot of swell and is very consistent, breaking for up to 600m and ranging from 2ft to 10ft+. 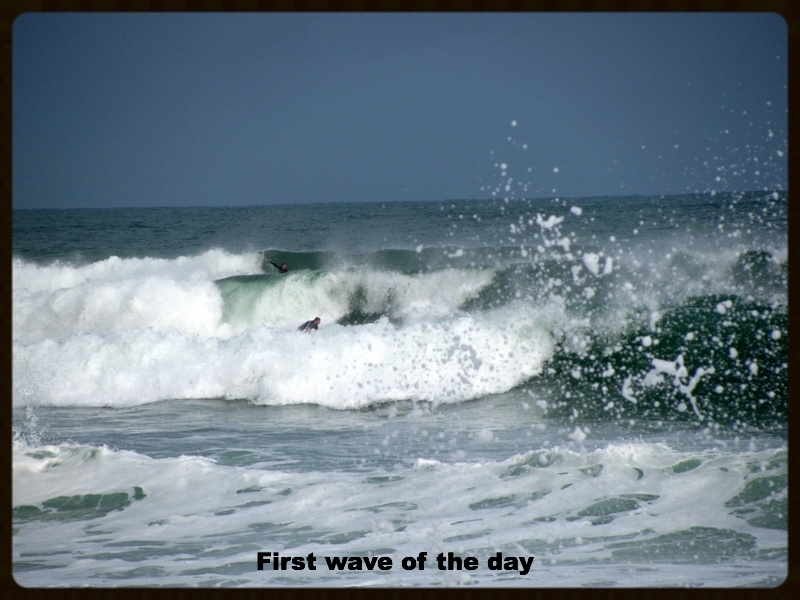 It is a long-walled, fast wave with barrels, particularly on the low tide when it gets very shallow. On mega-sized swells, waves can link up with Whale Bay. 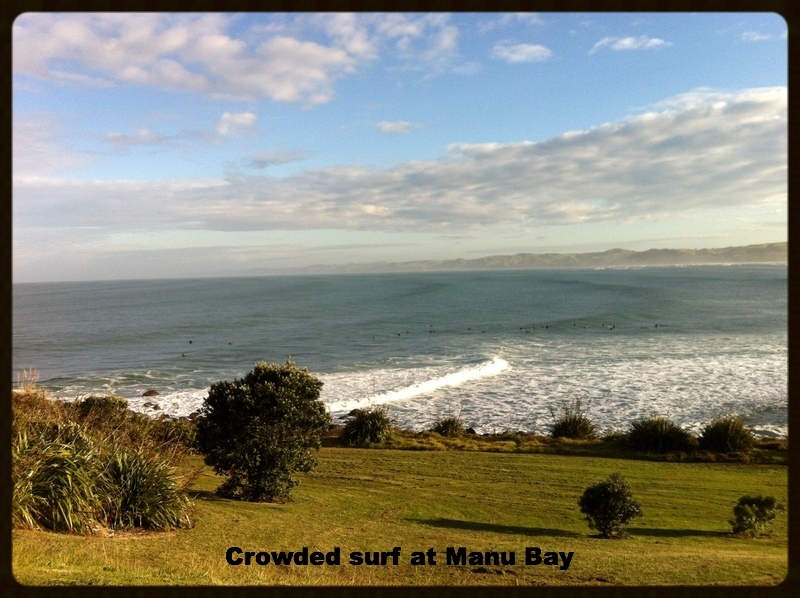 After checking out the crowded surf at Manu Bay, we drove to the next surf break, Whale Bay. This was also crowded, but not nearly as bad and Indicators looked good. So the guys changed into their wetsuits, grabbed their boards and we made our way along the path and rocky shore towards Indicators. I found a fairly sheltered spot on the rocks and made myself as comfortable as could be, so that I could sit and take photos of the guys surfing. The air was still chilly and once I’d lost sight of them in the distance (there were too many silhouetted surfers in the water to try make out who was who) I gave up and headed back to the warmth of the car, as by then, my hands and feet had gone numb with cold! The guys surfed for about an hour and a half at Indicators before we headed back to Manu Bay to see if some of the madness had died down. This time there were no vacant parking bays and we ended up in the gravel parking lot on top of the hill overlooking the break, which turned out to be the perfect spot to sit and have a snack while watching the locals surfing. In an attempt to warm up a little before the second surf of the day, we drove back to the little town of Raglan and did some exploring. 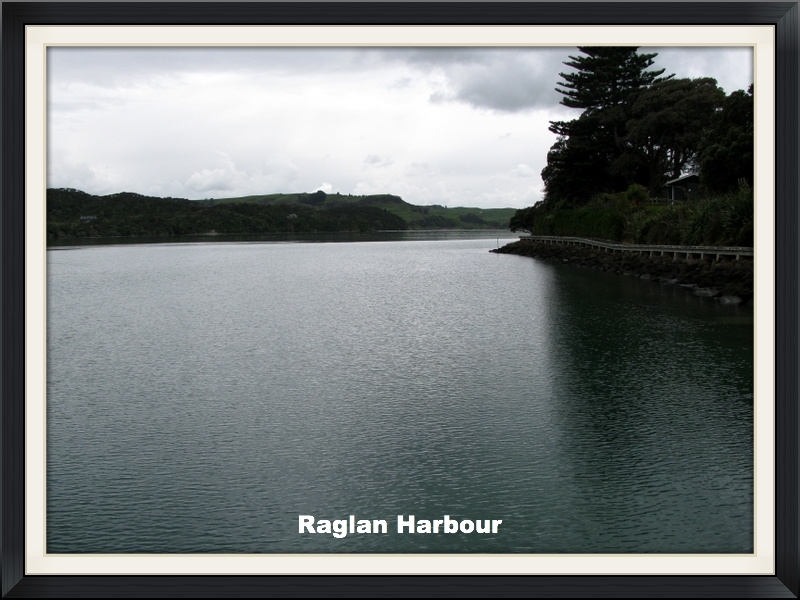 Raglan Harbour was originally known as Whaingaroa (long inlet), but has since taken the name of the small town of Raglan on its southern shore. 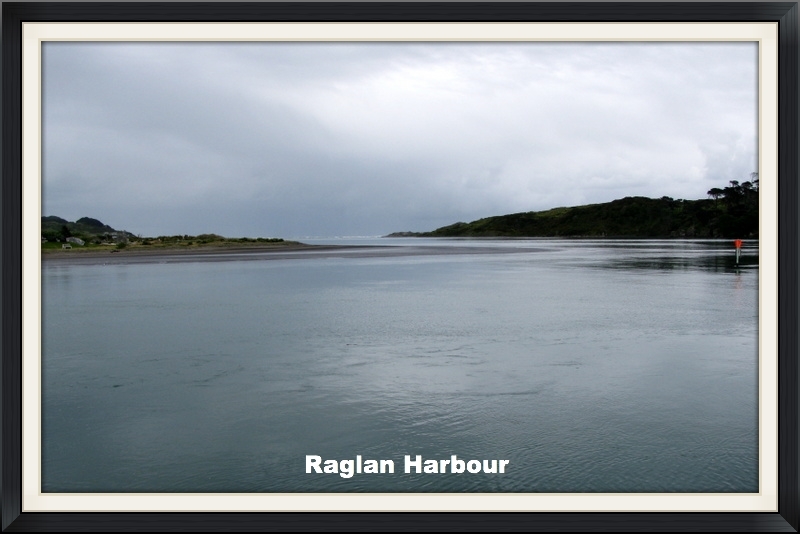 The harbour covers 35 km2, has 220 km of coastline and a catchment area covering 525 km2. It runs 12 km inland from the entrance and for the most part is less than 2 km wide. The port, which shelters fishing boats and handles some coastal shipping, is small, mainly because a sand bar blocks the harbour entrance. To the south of this entrance, rises the extinct volcano, Karioi. We headed back to Whale Bay and the guys paddled out at Indicators for their last surf, before the long drive back to Auckland. The weather didn’t play along and it never reached the predicted warm, sunny 17°C. The sun remained hidden behind an overcast sky and true to Murphy’s Law, there was even a sudden downpour, but the rain cleared up after about 15 minutes; the clouds began to part and the sun finally came out as we were packing up to leave! Even if the weather wasn’t so great, it was a fun day-trip; I managed to get a few nice photos and the guys finally got to surf “Raglan”, so the long drive was definitely worth it!